This two week tour is designed for those who want to experience and see as much as possible in a limited amount of time! It’s a wonderful travel experience encompassing the best on offer from four Balkan countries, focusing on natural landscapes, culture, history and food! Like our Land of the Geg and Land of the Tosk tour, we have planned it to be flexible and we can certainly try our best to accommodate changes according to your interests, timing, physical ability, etc. Just drop us a line and let us know what we could do to make this tour more interesting to you! A fun and knowledgeable guide will be with you for the duration of the trip to act as your driver and teach you all about Albania, Kosovo, Macedonia and Montenegro. We will have the occasional local guide help out, too! The tour begins in Tirana, Albania and ends in Podgorica, Montenegro. The dates and prices shown are only for the duration of the tour itself but we can definitely assist you with accommodation if you’d like to arrive in Albania the day before. At the end of the trip, we will transfer you to the airport for your flight connections back home. However, we’d be happy to help you in making further plans if you’d like to stay in the Montenegrin mountains, Shkodra Lake or if you’d simply like to relax on the beach. The itinerary is below and do contact us if you have any questions. Welcome dinner with traditional cuisine. 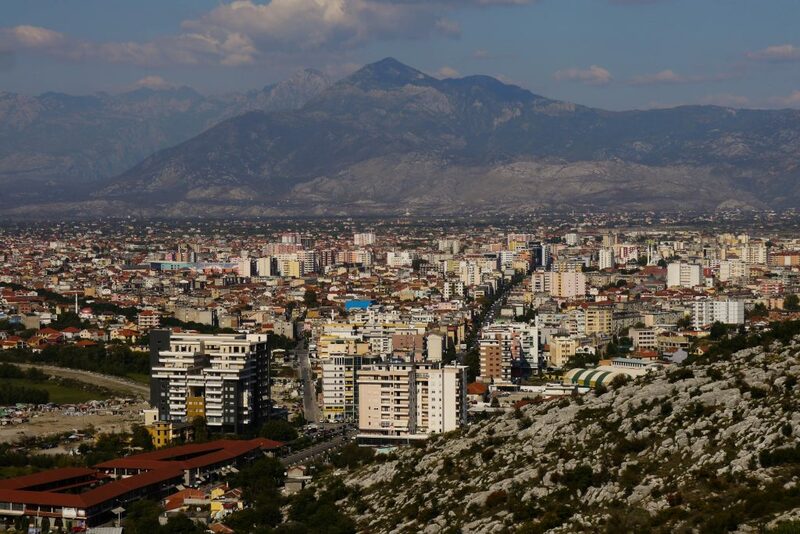 Tirana has been the capital of Albania since 1920 and is located in a valley at the foot of the very beautiful Dajti mountain range. 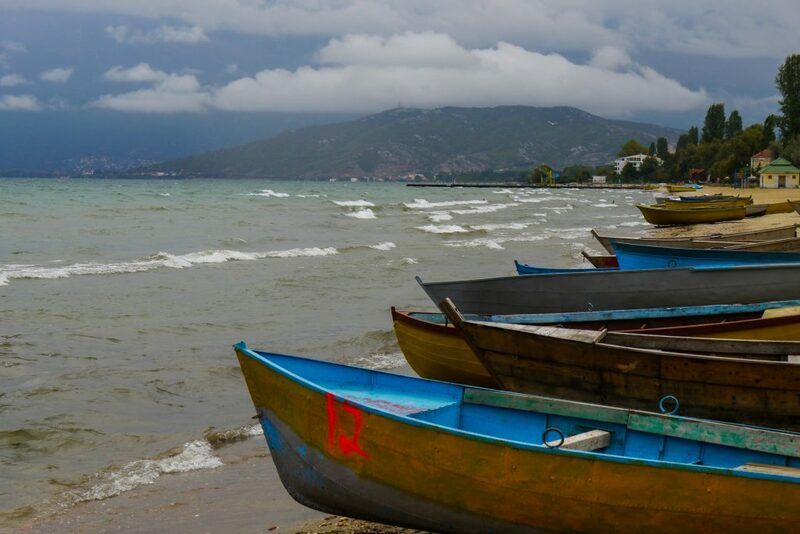 Once famous for its isolation, Albania is one of the smallest and least-developed countries in Europe, which makes it all the more enticing to visit! Today, the country is slowly making the transition to an open-market economy and is on the road to progress. On the Adriatic and Ionian Seas and with a pleasant Mediterranean climate, Albania is soon to become one of Europe’s most interesting getaways. Still relatively unspoiled by globalization, you will notice an inspiring and unique mix of civilizations and cultures! Transfer back to Tirana, touring the National History Museum, E’them Bey Mosque, New Bazaar and Boulevard of the Martyrs of the Nation. We recommend you take your own independent tour of Bunk’Art in the city center. It will show you so much about Albanian Intelligent Services focusing on the period when these made Albanians lives as terrible as hell. Kruja is a small town perched high on a mountain facing the Adriatic Sea and the Western plain of Albania. It was the capital of the Albanian resistance against the Ottoman Empire under the leadership of our national hero, Skanderbeg. It saw three sieges in the 15th century, one of which was led by the famous Sultan Mehmet Fatih (the Conqueror of Constantinople.) While Skanderbeg was alive, he prevented Kruja from falling under Ottoman control! Visit the Archaeological Museum and Roman Amphitheatre. Durres is Albania’s second largest city and one of its oldest towns; it has existed under Hellenistic, Roman, Byzantine, Venetian, Ottoman and Communist periods. The well-preserved amphitheater is the largest in the Balkans- it isn’t difficult to imagine the Gladiator fights! 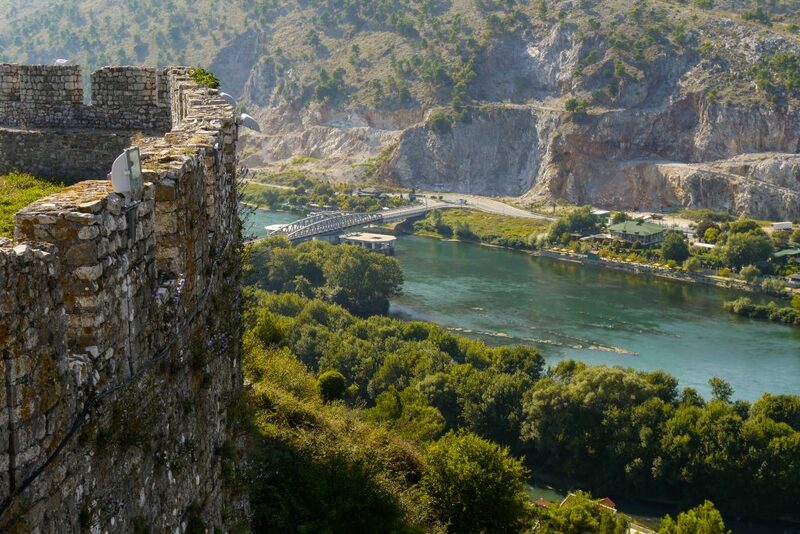 Berat is one of the country’s most beautiful towns and has been continually inhabited for 2400 years. It is famous for its museum where we will show you elegant post-Byzantine icons from various painters of the Middle Ages and the Ottoman period. We will see some beautiful chapels that still stand in the unique neighborhood of the castle. Views of the Tomorri mountain, the Osumi river and the western plain (and the legends inspired by them) are simply stunning. Visit the Greek and Roman ruins here, the most important archaeological site in Albania. Drive by Lake Butrint and have lunch at the beautiful village of Ksamil with great views of the Channel of Corfu. Butrint dates back to the 7th century BC (according to the legend of Troyan Helenus – son of Priam of Troy.) Virgil claimed that the Trojans settled Butrint, but no evidence of this has yet been found. Within a century of the Greeks arriving, Butrint had become a fortified trading city with its own acropolis, the ruins of which we can still visit. The rediscovered city is a microcosm of almost 3,000 years of Mediterranean history. Its 6th century BC fortification evokes the city’s military power and symbolizes the rich culture of the once thriving ancient settlement. Lake Butrint is famous for its beautiful landscape and quality mussels which we definitely recommend you try in one of the little family restaurants in Ksamil. Depart east for the Wide Mountains. Gjirokastra is a magical town of many legends, amazing Ottoman architecture and it is perched atop a mountain facing the beautiful, strategic and historical River Drinos. “This is maybe the only town in the world where you are walking in your garden [and] you slip and you fall on the roof of your neighbor,” writes Albanian Nobel Prize candidate Ismail Kadare. He’s not the only famous Albanian born here – the other one (this time infamous) is Stalinist dictator Enver Hoxha -and he certainly loved his town as well. Arrive in the once large and very prosperous village of Voskopoja, just outside of Korca. This is probably one of the most spectacular drives in the region with amazing landscapes and (as local drivers say) 440 curves on an often chicken-nested road. There will be many opportunities for great landscape photographs and stops in some of the forgotten towns like Permet or Erseka. 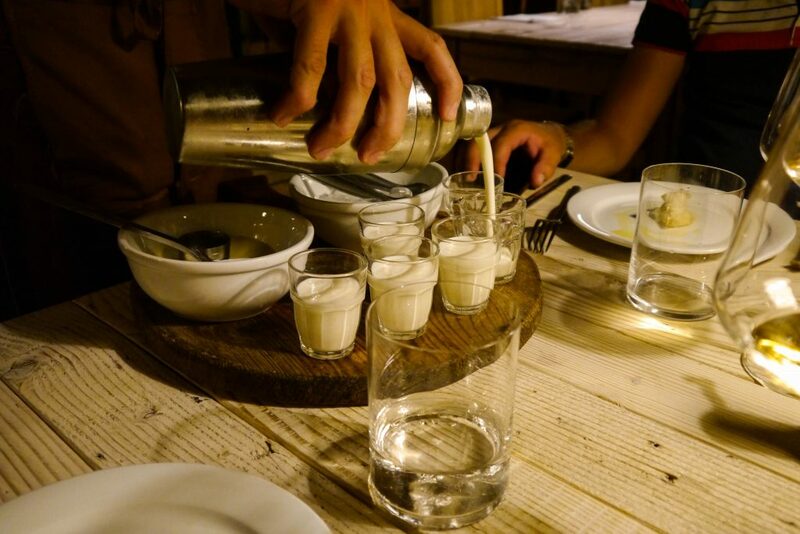 The cuisine is delicious and people are extremely welcoming – not only do they not often see foreign visitors, Albanians rarely go this way, too. A truly unique part of the trip! Visit nearby Korca to see the Museum of Medieval Art (one of the best Byzantine art museums of the region) and the local bazaar of Korca. Visit the famous Monastery of St. Naum, established in year 900. Depart for Ohrid, visiting the UNESCO-listed historic “town-museum (approx. 1h drive);” visit the 9th century Slavic Panteleimon Monastery, a fortress, amphitheater and many other sites! Overnight in Ohrid in a charming hotel in front of the lake. Korca is a town of artists and intellectuals and has contributed greatly to the preservation and development of Albanian culture. (It also hosts the oldest and best Albanian brew, Birra Korca!) Here is a great place to better understand local realities and talk to the great ambassadors to the Land of the Eagle – the people themselves. The Monastery of St. Naum is among the most popular destinations in the Republic of Macedonia and for very good reason! The city of Ohrid, with its historic town Centre and stunning lake vistas, is the pride of Macedonia. The old part of the town was known in ancient times as Lychnidos (the City of Lights.) The Slavic Cyrillic alphabet was created here by brothers Cyril and Methodius. Ohrid is also known as the “City of 365 Churches” and we will visit a few of the most important ones. Enjoy a well-deserved day of relaxation in one of the Balkan’s most beautiful towns! We will be around to give you advice on where to go for more visiting, shopping or we’ll even tell you the best places to relax with a good book. Visit the Painted Mosque located by the Pena River, constructed in 1459 on the foundation of an older edifice. Visit the main square and other famous monuments here. The Painted Mosque is decorated with an elaborate facade and interior, making it unique to the Balkans. According to the locals, in the tomb next to it is buried the body of the woman who financed its construction. We’ll have an opportunity to visit a Teqe and meet a local baba who’ll discuss traditions here. Skopje is the ancient, modern and eccentric capital of Macedonia -rich in patrimony and culture, we will visit the central square with its gigantic statues of Alexander the Great and Philip of Macedonia, recently sculpted and provoking diverse reactions from locals and neighbors. Morning tour of Skopje including the Kale Fortress (with walls from the 6th century) and many Ottoman monuments like the Mustapha Pasha Mosque, the Karavan Saraj, the old Bazaar area and the Daut Pasha Hamam from the 15th century. Skopje was once the great town of Justiniana Prima, founded by emperor Justinian, and later used as military barracks by the Ottomans from the 14th to 20th centuries. Our Skopje guide will enthusiastically and passionately tell us the story of this fascinating town. Once we get to Pristina, we’ll take a short walk in the pedestrian part of town and enjoy some little bars in the area. Pristina is crucial to the modern story of Kosovo, especially with the recent conflict between the armies of Milosevic and the local KLA (Kosovo Liberation Army). Tony Blair and Bill Clinton are considered war heroes here and as a result, Brits and Americans have a lot of local fans. Tour of Prizren – the Sinan Pasha Mosque and the downtown core. Drive through the spectacular Highway of the Nation in the direction of western Albania (approx. 2h30′ drive). Arrival in Shkodra in the late afternoon. Check into a nice local hotel. Prizren has a nice combination of Byzantine and Ottoman heritage and those of Orthodox, Islamic and Catholic faiths peacefully coexist. If in the mood for a walk, we can hike to the top of the fortress that dominates the town. From there you can see Prizren’s many minarets and red rooftops as well as the whole valley that the town is settled in. Tour of the Shkodra city center’s beautifully reconstructed pedestrian areas and very elegant Ebu Bekr Mosque. One of the highlights of this visit will be the very elegant Marubi Photography Museum. Tour to the castle of Rozafa overlooking the town of Shkodra, the lake and the three rivers (Kiri, Drini and Buna) meeting at its feet. Visit of the castle of Ulcinj with beautiful views of the Adriatic Sea. Miguel Cervantes was once held in Ulcinj as a prisoner by local pirates. It’s from this town that he got his inspiration for the famous female character of Dulcinea (in Don Quixote.) There are many stories to be imparted and lots of natural beauty can still be seen in this part of the region! Take in a variety of sites in these two important towns. Delicious goodbye dinner in one of the local restaurants. Transfer to the airport in Podgorica for the flight back home. Character boutique Albanian, Macedonian, Kosovar and Montenegrin family owned 3-4 star hotels with breakfasts. Bed and breakfast accommodation as well as a welcome and a goodbye meal with emphasis on the local traditional Balkan cuisine. We’ll give you good advice on places to eat during the whole trip and will try to recommend the best local cuisine and wine! Expenses for all other guides. Tips for the guides and driver.